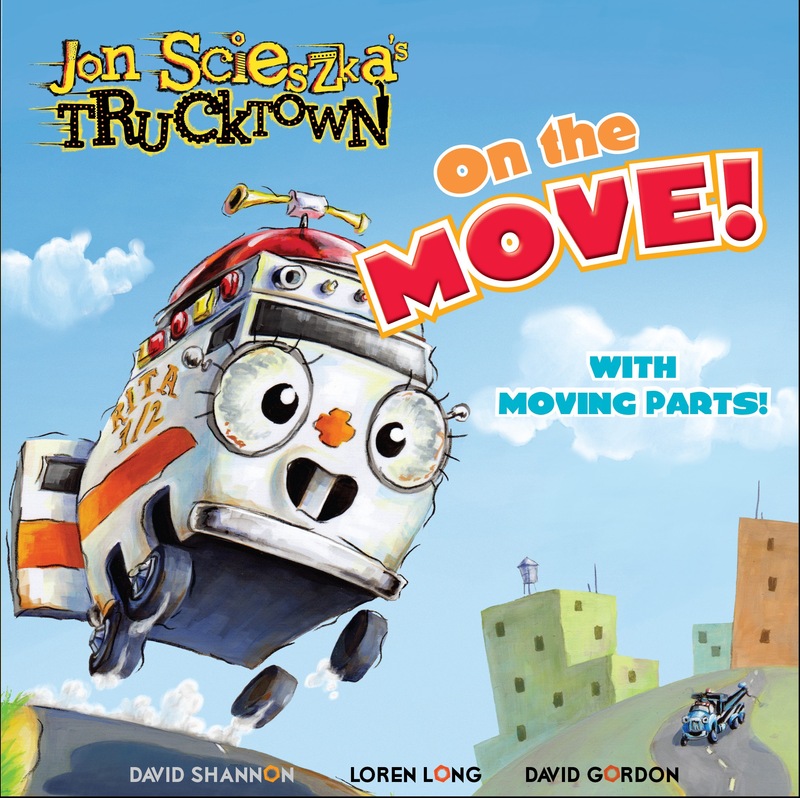 Rita, Dan, Max and Ted are on the move in Trucktown! Kids will have hands-on fun with a movable part on each spread! Swing Wrecker Rosie's wrecking ball, spin Monster Truck Max's wheel, dump gravel from Dump Truck Dan's bed, and move Tow Truck Ted's hook up and down as he saves a good friend! Book Cover Image (jpg): On the Move!